A masked gang stole cigarettes and alcohol in a ram-raid at a Leeds convenience store in the early hours of today (Monday). Four men in a Nissan 4x4 car smashed through the front of the Nisa shop on Hall Lane in Armley shortly before 3am. Three of them, who had their faces covered, got out and went into the shop while the driver stayed in the vehicle. They stole cigarettes and alcohol and carried the items away in a large builders sack. They drove off and the vehicle was found abandoned nearby in Ley Lane. Staff at the shop were starting a clear-up today. A man who lives opposite the store said he was awoken by the incident. "There was a lot of noise, I heard a lot of carnage," he said. "There were quite a few people who came out to see what was going on." 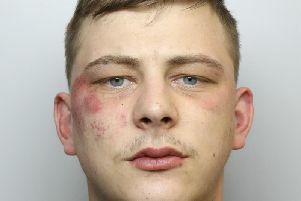 Detective Inspector John Dexter, of Leeds CID, said: "This was clearly a planned attack on these premises and we would like to hear from anyone who witnessed the incident or who has any information that could assist us in tracing the offenders involved." Anyone with any information is asked to contact Leeds CID via 101 or Crimestoppers, anonymously, on 0800 555 111.